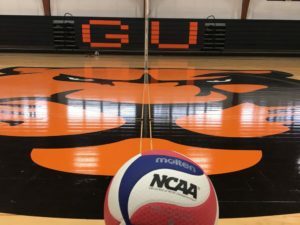 The GU Men’s Volleyball Team has been around for three years now. In those years they have experienced success and failure. During this time they have gone 27-32. That certainly is not a bad record for a team in the early years of their program in one of the top conferences in the country. Coaches Phil Davis, Tom Ackerman, and Ivan Estevez work hard every year to add vital members to the team in order to ensure success. This year is a year of optimism. The team has veteran leadership mixed with extraordinarily talented underclassmen. 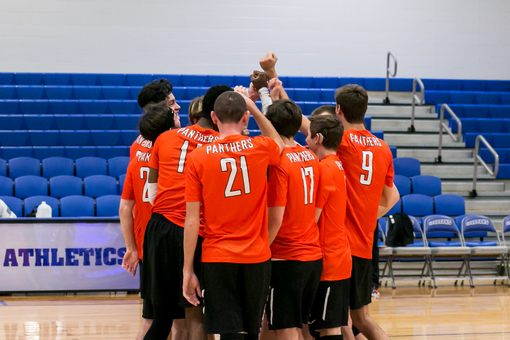 Here is your chance to learn just a little more about your men’s volleyball team. Johnny Milabu (MH). Source: Greenville University. Johnny Milabu is one of two captains on the team. Milabu is a very involved student on Greenville’s campus. He is a part of the Senate, the Student Alumni Committee, and Mosaic to name a few. 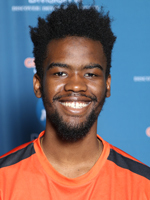 Milabu was voted captain due to his ability to lead both on and off the court. On the court, he is a dominant force. Not only is he 6’5″ tall, he can also jump out of the building. That is prototypical for a middle hitter. In volleyball, having a dominant middle hitter is crucial to a team’s success. Look for Milabu to be a top player in the MCVL. Tanner Smith (S). Source: Greenville University. Tanner Smith is the other captain on the team. Smith is a very gifted volleyball player. 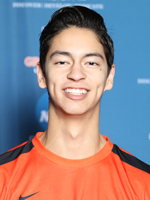 During the school year, he is the team’s starting setter, during the summer he goes back home to Hermosa Beach, California and works on his professional beach volleyball career. Smith can take a terrible pass and place it so perfectly that it makes you stare in amazement. He is vital to the team’s success and we would not be the team we are without him in charge of the offense. Kyle Ward (Opp). Source: Greenville University. Kyle Ward is another involved member of the Greenville student body, he is part of Greenville Student Government Association. You will see him working at all the GSGA events. He has started all three years he has been here. Whether he is a middle or right side his versatility is vital to the team. 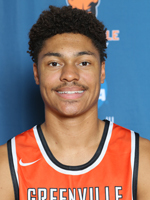 Standing at 6’4″ his coordination and athleticism ensure that wherever he plays will be locked down. Ward currently leads the team in kills; if he keeps it up the work looks for it to stay that way. Peter Binder (DS). Source: Greenville University. 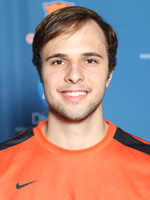 Peter Binder is an intelligent and impressive athlete. You will also see him involved with many events around Greenville. He is a part of the Student Senate. He has played many roles in his three years at Greenville. There are not many other players smarter than Binder out on the court. His consistency, hard work, and determination have always helped the team. Look for him to succeed in another new role he will be playing in this year. Nick Corrigan (OH). Source: Greenville University. Nick Corrigan is a spark plug. His energy and enthusiasm are very important to the team. 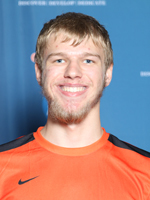 In his three years, he has played in every position besides setter and middle. His willingness to be put into any role Coach Davis asks of him is his best feature. This year he takes on the new task of starting outside hitter. Look for him to work hard at his new position and only improve as the season goes along. George Black (OH). Source: Greenville University. George Black is one of the hardest workers on campus. There are two places you might find him, Snyder or the Annex. George has elevated himself into the starting outside position. He has improved a great deal since he arrived in Greenville a year ago. The team will look to lean on him when they need a kill. His work ethic and physical capabilities make him the athlete to look out for on the volleyball team. Black has the ability to be a standout leader of the team. Isaiah Canales (MH). Source: Greenville University. Isaiah Canales is a fantastic teammate, athlete, and person. Do not blink when he goes up to hit because you will miss it. He hits the ball harder than anyone on the team. As the second middle on the team, he plays a vital role. A volleyball team is only as good as their middles, and we have a good pair here in Greenville. Canales is the kind of player that can overpower opponents when he chooses to. Look for him to only improve as the season comes along. When he is on his game, it is a beauty to watch. Logan Dameris (L). Source: Greenville University. 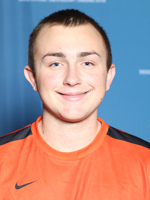 This is Logan Dameris’ second year playing competitive volleyball. In that time he has come a very long way. 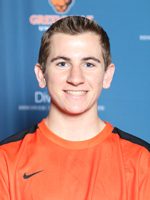 He has now deservedly earned the starting libero spot on the team. From day one he has soaked up every bit of volleyball information he can. He will surprise you with just how many balls he can get to. One second you will think the ball will hit the ground, then the next you see Dameris getting the ball up. He is not afraid to sacrifice all for the team. He will be a very important player for this year and the years following. Ryan Nelson (DS). Source: Greenville University. 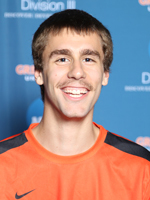 One of three freshmen, Ryan Nelson is a gifted athlete. 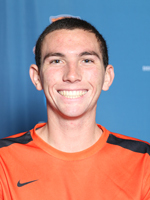 Before Ryan came to Greenville he played for the United States Deaf National Team for his age group. The sky is the limit for him; he can take a difficult serve and put it right where it is needed while making it look easy. He will be able to fill any defensive role asked of him with success. 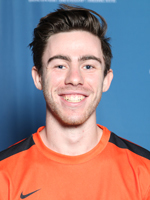 During the team’s game against Adrian, he came in during the last set and had three crucial digs to help Greenville win that game. Look for Nelson to be a staple for Greenville’s defense for the next four years. Andrew Martin (Opp). Source: Greenville University. 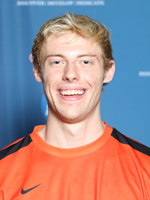 This is Andrew Martin’s first year playing volleyball. He is a fantastic athlete and he is catching on quickly. If you are ever down and are in need of a pick-me-up, ask Martin for one of his fantastic dad jokes. He is an important player and lifts the mood of everyone on the team. It will be exciting to see how he develops as a volleyball player in the next four years. Colin Hill (Opp). Source: Greenville University. Collin Hill has just recently joined the team. He was a part of the men’s basketball team during the winter. Hill is a gifted athlete with multiple years of volleyball experience. Look for him to seamlessly work his way into the team. He will provide good competition at the right side position. We are very grateful that Hill has decided to be a two sports athlete. That is certainly not an easy feat. Catch all of these guys in action at their next home game on Tuesday, March 6th. Media by Nick Corrigan.